I ordered a Shift-i light. My mechanical knowledge are limited so i would like to know where and how i should tap the 3 wires (tacho-ignition-ground). I saw a pic with the MSD pickup signal module, but if i could avoid buying this part (60$), i would appreciate. BTW, my radio/stereo (Alpine) is out right now, so if there is a possibility to use some wire there, let me know. Ground, well anywhere, ignition you can pull of the radio harness. Tach signal, you can take from the red-black lead from coil pack on cylinder # 1. Now if reading that makes you weak in the knees, then get the MSD. There is no tack signal anywhere in the dash that your shift light will understand. What is the difference between the red/black wire and the green one on this pic? And what is the advantage other than not cutting the wire with the MSD? Green (for all coils) goes to fuse R7, which then goes to the battery, it's always hot, if the MSD works on that lead it's a fluke. The red-black is the trigger for that coil from the ecu. If you're good with wiring, there is no advantage. Be sure to get the wiring diagram and understand how to read it if you're going to modify the stock harness. Would it be okay to use a T-Tap to connect on the red/black wire? MSD look like a pricey T-Tap to me...? Or maybe i should just strip, twist and sold the wires together? [QUOTE=Apex_in_sno;1852779]Green (for all coils) goes to fuse R7, which then goes to the battery, it's always hot, if the MSD works on that lead it's a fluke. The only wire that needs to come off the coil pack is the trigger itself, red/black. Ground and power you can get off the radio harness or several other places in the dash. I can guarentee that your shift light (without the msd) will not work off the green wire. Find some temp power and ground for the light (aux power outlet is good), drag a temp wire from the coilpack red/black, fire the dang thing up see if it works. Then commit to the final wireing. I could go on for a good long bit about the different and then proper ways of modifiying auto wireing, however a proper barrel crimp tool, crimps and adhesive shrink are going to cost you more than the MSD in the first place. So I'm just going to look away while you twist, solder and vinyl tape this thing back together. I would recomend that you get the MSD for your application, it will be the lease amount of hastle and install risk. You've invested a decent ammount of time in modifying the pod for the display itself, so don't cheese out the remainder of the install with a Hello Kitty splice job. 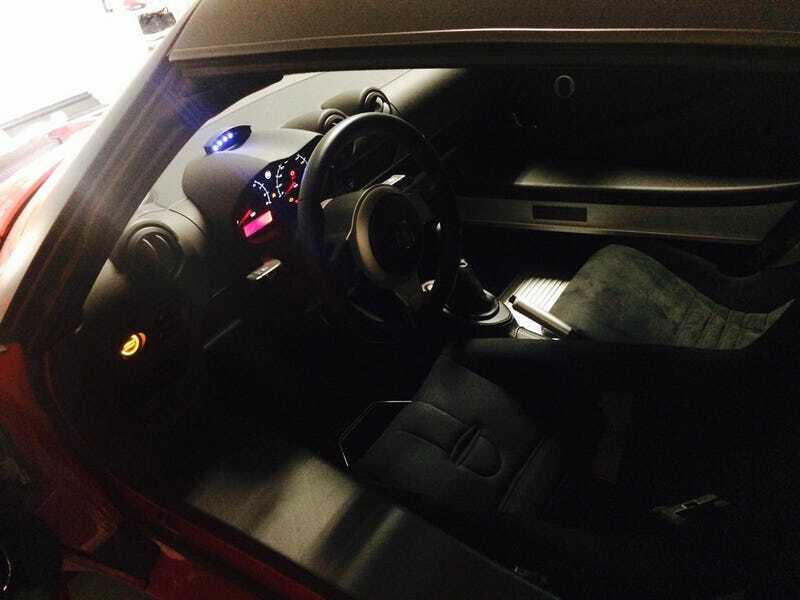 I use with website for my mod advice and I installed PZ racing sequential shift light. First i connected tach meter wire but the light did not pick up tach signal. And I took advice hear from Apex_in_sno and bought MSD tach signal and clipped on red/black wire from coilpack 1. So, I would like to say thank you for your information! I was not aware of the PZ racing shift light. The only issue I have is that you have to free rev the engine to the max rpm?!? I really don't want to bring the car to 8k without load! Is that how you had to set yours up? I like your setup. Very similar to mine! I dont understand your question, my English is second language. I just set low, both sides Green LED comes on at 6500rpm and center red LED comes on at 8000 rpm and all LED flashes at aprox 8100rpm = my optimum shift up sign. this set up is easy and did it at park parking place (no residential houses around). you can set any rpm low and max like 3000rpm and 5000rpm.